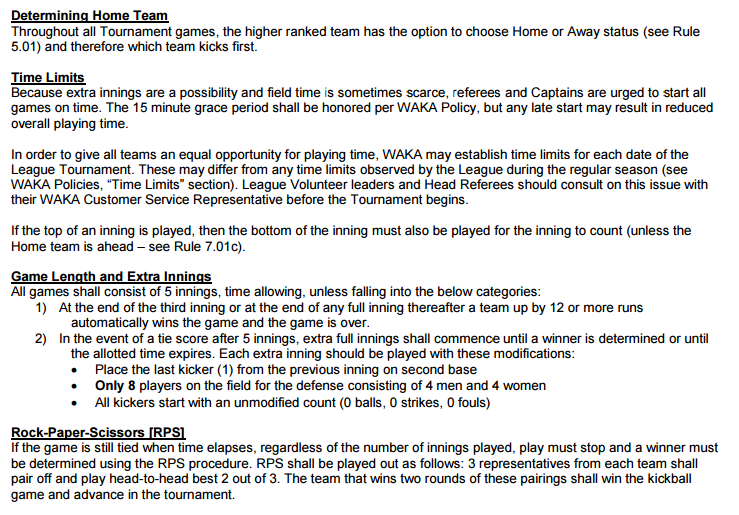 MN Twin Cities WAKA Kickball: PLAYOFF RULES REMINDER! As a reminder, playoff rules are slightly different than the regular season, as you will see below. The most glaring difference is that games are now 5 innings, NOT time based, unless they take too long. Please note the extra innings policies below as well, as the team moves to 8 defensive players (4 men and 4 women). We will have the final standings and playoff bracket posted shortly!